I love BloodBowl, and I really wanted a pitch to play on of my own - without having to shell out ridiculous amounts for used parts on Ebay. A friend ordered a custom made BloodBowl pitch a few years back but that option was too expensive for me, and as it turned out the squares on the board were slightly bigger than the original gameboard which made the throwing template inaccurate when reading the range bands. 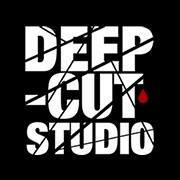 So, an evening of browsing led to to DeepCutStudio and their array of gaming mats. Having weighed the pro's and con's I went ahead and ordered 3 gaming mats. One of them is this BloodBowl pitch which has its main play area mirror the original BloodBowl pitch from GamesWorkshop perfectly in terms of size (I compared with an original game that a friend brought over). Each square is 29mm wide. The mat includes the pitch, as well as a scatter template for both players, and areas marked out for the reserves, Knocked Out and Morgue. It also features a counter on both sides to keep track of the turns, which half of the match you play and number of re-rolls left. The only thing missing, oddly enough, is a score counter - I guess this was simply overlooked. You can keep score easily using pen and paper, dice or any other method. Imo it was well worth the money. And as I had the pitch I also needed a measuring stick and some Blood Bowl dice, these I acquired from the NobleKnight games store in the US (the manufacturer for both products is Impact Miniatures I believe). A local retailer also had these products in his catalogue but they were sold out so I had to buy them from the US which turned out a lot more expensive than I would have wanted - but at least the dice and the measuring stick are also perfect matches to the original deal from GW so in the long run money well spent. Now to paint up the remainder of my Orc team so I can alternate between them and my Humans. Caroline also shows interest for the game and plays the PC version so she will most likely also want to play the tabletop version. And as a small bonus, some pictures from the first game played on the new pitch against my friend Daniel and his Chaos Dwarfs. The game ended 1-1 after an intense first half where one of my linemen tackled one of the Bull Centaurs which got killed in the process. I then lost the initiative in the second half, and a mistake on my part opened a window for my opponent who scored a draw. Great looking mat. What edition of BB do you like to play? Yeah, lucky roll from a regular lineman lol! I think we play BB v.5, I just saw that there is a 5+ / version 6 available with extra teams and a few new additions such as the bank where you can stash extra cash. Might download and print that one out. As a former owner of the original molded "Astrocrete" board, I'd say this one is easily as nice and has some handy added features.